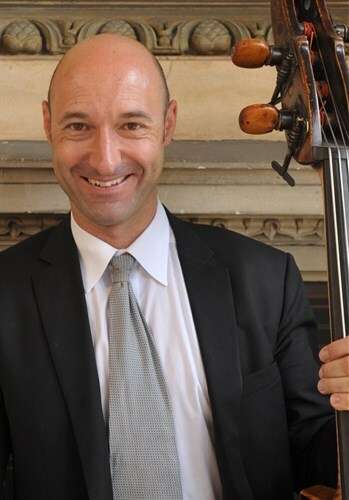 Michael Bladerer, born in Waidhofen/Ybbs in 1968, received his first instruction on piano at the age of eight and on contrabass beginning in 1981. He studied with Ludwig Streicher at the Vienna College of Music beginning in 1986 and graduated with distinction in 1995. At this point, Bladerer had already begun a notable career. After winning the first prize at the national Jugend musiziert competition in 1989, he appeared as a soloist at home and abroad, as well as making several CD and radio recordings and numerous first performances of compositions by composers such as Balduin Sulzer, Wolfram Wagner und Ulrich Küchl. He also gained experience as an orchestral musician. In the 1987/88 season, he played with the Brucknerorchester Linz and in 1994/95 he belonged to the Vienna Symphony. In 1996, he received an engagement as principal contrabass of the Komische Oper Berlin, a position he held for three years. Michael Bladerer took up his position as contrabassist of the Vienna State Opera Orchestra on September 1, 1999, and between 2005 and 2013 was the chairman of the player's committee. He joined the Association of the Vienna Philharmonic in 2002, where from 2005-2009 he was also press secretary. Since 2008, he has been a member of the Vienna Hofmusikkapelle and he also performs regularly with the Wiener Ring Ensemble and the Wiener Oktett.